Mick Davis, head of the United Jewish Israel Appeal (UJIA), UK Jewry’s principal Jewish and Israel fund raising umbrella organization, has appointed an extremist critic of Israel to act as “PR and Communications Manager” – the leading spokesman for that body. The shocking details are outlined below. However, a review of the background needs to be related in order to set this shameful episode in its proper context. Let me state at the outset that I have never met with Davis, who also heads the Jewish Leadership Council (JLC), an unelected body comprising primarily of wealthy Jews who purport to speak on behalf of the Anglo Jewish community. Despite the fact that Davis refers to me as the “mad Australian”, I hold no personal animus against him. I did however previously criticize him as a purported senior Jewish communal leader for engaging in what I considered to be outrageous statements relating to Israel. Late last year, Davis called on British Jews to criticize Israel and had the chutzpah to censure the Israeli prime minister for lacking the courage “to promote the peace process”. He also employed the terminology of Israel’s enemies predicting an “apartheid state” unless Israel changed its policies. Davis made these remarks in the UK, a country in which demonization and delegitimization of Israel is at an all-time high and has now emerged as the global center of the BDS (boycott, divestment, sanctions) campaign against Israel. In any self-respecting diaspora Jewish community, even a mining tycoon like Davis making such outrageous remarks whilst holding a mainstream leadership position, would have been obliged to withdraw them and apologize or resign. 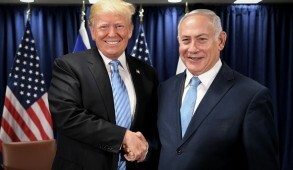 In the US, despite the fact that Jewish leaders are considered more liberal than their European counterparts, no mainstream Jewish leader would conceivably continue in office after making such offensive remarks. However, Davis – supported by his acolytes – retained his position. 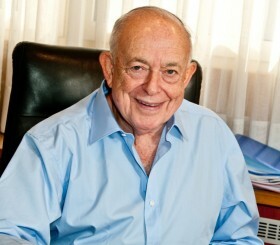 He was recently in Israel to receive an honorary doctorate from Bar Ilan University. 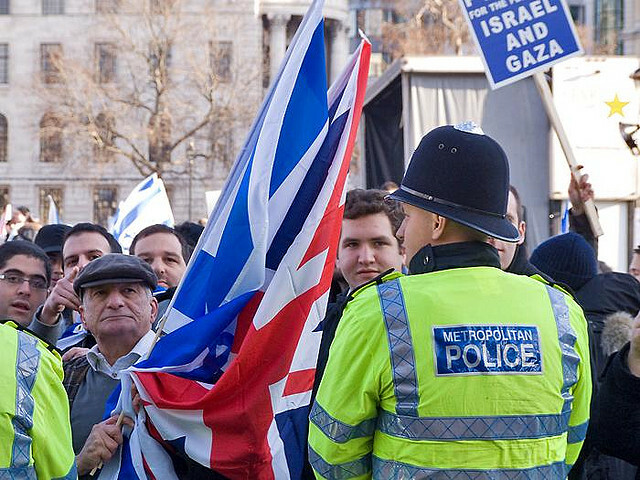 During his visit, he participated in a Knesset subcommittee meeting headed by Einat Wilf of Atzmaut, to discuss UK Jewry’s response to the intensifying anti-Israeli and anti-Semitic onslaughts which have grown exponentially in recent years. 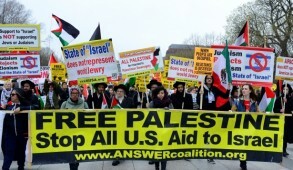 Davis conceded that BDS had become somewhat of a threat but substantially understated the prevalence of anti-Semitism in the country. To bolster his case, he somewhat weirdly claimed that the Chief Rabbi spoke on television for 10 minutes while the Queen did so for only 5 minutes. Thankfully, his views were sharply contested by other Anglo Jewish representatives. He also boasted that the anti-Semitic candidate for mayor, Ken Livingstone, who kowtowing to Moslems had undertaken to make London a “beacon” for Islam, had been narrowly defeated. He omitted to mention that his JLC had assisted Livingstone in drafting a letter designed to placate the Jewish community. He also failed to mention that the JLC had pressured Jewish students to cancel lectures by Brooke Goldstein, an expert on lawfare and pro-Israel Moslem, Kasim Hafeez, on the grounds that such speakers would “disrupt” interfaith relations and create tensions. All of this is taking place against the background of an unprecedented breakdown in relations between the Jewish community and the Church of England. 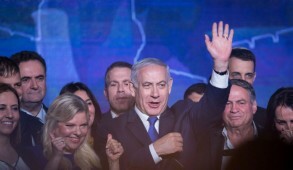 Its Synod this month dismissed pleas from the Jewish Board of Deputies, interfaith groups and the Chief Rabbi and endorsed an extremely anti-Israeli Christian-Arab body (EAPPI). In the debate, the Archbishop of Canterbury drew a parallel between the Holocaust and Israeli checkpoints stating “half an hour at Yad Vashem will persuade you, if you need persuading, why Israel needs to exist securely. Half an hour at a checkpoint will persuade you, if you need persuading, there are forms of security that are indefensible and unsustainable”. “The Jewish community does not need lessons from the Anglican church on injustice and peace, themes which originated in our tradition. Moreover, to hear the debate at the Synod littered with references to “power lobbies”, the money expended by the Jewish community, “Jewish sounding names” and the actions of the community “bringing shame on the memory of victims of the Holocaust” is deeply offensive and raises serious questions about the motivation of those behind his motion”. It is in this torrid and hostile atmosphere that Mick Davis, head of the UJIA – an organization whose primary concern is to raise funds for Israel – saw fit to appoint as its principal spokesman Joe Millis, a far left extremist who has publicly called for a boycott of goods from Israeli settlements, stressing that he includes East Jerusalem (The Old City and adjacent Jewish suburbs) in his boycott because it was unquestionably “occupied territory”. When challenged, Millis response was “Sue me”. 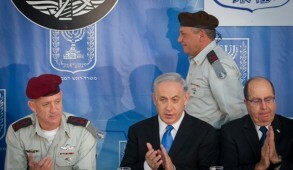 He alleged that “Israel is being murdered in its sleep by zealots” and stated that “Israel isn’t Judaism. And it is becoming a footnote in history”. Millis even went to the extent of accusing Israel of behaving like Iran or Syria. “Just when people in neighboring countries are laying down their lives to create democracies, Israel wants to be Iran or Syria lite”. Millis, who lived for a while in Israel and was employed by the Jewish media is entitled to his abhorrent opinions – although even far left groups like J Street would not publicly endorse such bilge. But for Davis, Chairman of the UJIA who has himself already achieved notoriety for previous outbursts against Israel, to appoint such a person as principal spokesman for a key UK body engaged in Israel can only be described as an unconscionable act which no self-respecting Jewish community should tolerate. Some of our non-Jewish friends are simply confounded by these antics. For example, Robin Shepherd – driven out of his position as a Senior Fellow at Chatham House for failing to toe the anti-Israeli line and who published ”A State beyond the Pale: Europe’s Problem with Israel”, a brilliant book supporting the Jewish state, – said he was genuinely shocked and perplexed. Among other activities, he now publishes a widely read and highly respected Internet publication, “the Commentator”. When contacted about this issue he told me that as a devoted friend of Israel, he was very reluctant to become enmeshed in the internal affairs of Anglo Jewry. But, he continued, “in all honesty, if Israel is now being compared to Syria’s Bashar al Assad or the genocidal haters of Iran by the chief spokesman of the UJIA, what next? Truly, fresh from apartheid analogies, is it Nazi Germany analogies next? I am deeply saddened. To be honest I am at a loss to know what to say to you”. If I were living in the UK, I would say enough is enough. I would hope that the vast majority of rank-and-file Jews, irrespective of political attitudes, will voice their outrage when they learn of this despicable appointment. Mr. Millis should be dismissed forthwith and Davis must apologize to the Jewish community or resign, or better still, do both.